Conservatories Essex | Essex Conservatory Roofs Ltd. 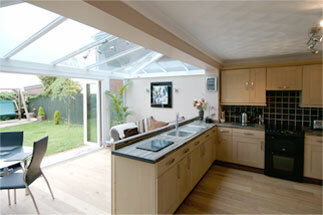 Welcome to Conservatories and Extensions, the home of Essex Conservatory Roofs Limited. We provide quality conservatories, conservatory roofs (Warm roof), windows, doors, roofline products, garage conversions, decking, fencing, house extensions, general building work and loft conversions. 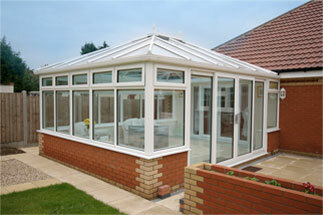 Your one stop for Conservatories and Construction Services in and around Colchester, Essex. ConservatoryandExtensions.com is the digital marketing arm of Essex Conservatory Roofs Limited. Based near Colchester, Essex and with over 30 years’ experience in the building and home improvement industry, Essex Conservatory Roofs are proud to provide you with the perfect finish to your home, whether it be a small addition, modification or a full scale conservatory or house extension. Whatever your home improvement needs', our construction business offers professional advice, quality products and specialist workmanship from the initial meeting through to design presentation and the completed job. We adopt a whole new perspective to conservatory and extension construction and promise not only to transform your home, but also your way of life. From a classic Gable-fronted conservatory to contemporary conservatory designs with bi-folding doors, whatever you choose, Essex Conservatory Roofs (together with Bentley Plastics and Construction) will transform your living space to a thing of beauty, designed to enhance the existing features of your home. Extend your living area or kitchen and dine under the stars with our bespoke and personalised conservatories & extension construction services. Create a new office, bedroom or living room with our incredible garage conversions or transform your garden with our UPVC decking and innovative landscaping. Whatever your requirements we offer a variety of window and door styles, colours, shapes and sizes to suit your personality and perfectly match your home. And with every door and window being “A” rated for energy efficiency, you can be sure of reducing your energy requirements and reducing your personal carbon footprint. Because we believe in a personal service, we advise on all aspects of the required conservatories & extensions construction work; ensuring you feel comfortable you have made the perfect home improvement choice to suit your lifestyle. As the premier conservatories & extensions construction company near Colchester, Essex we can provide drawings, 3D images and also act on your behalf with planning & building regulations and all the associated red tape, taking the headache out of every aspect of construction and avoiding any mistakes or problems from day one. We are qualified to the highest standard in every area of conservatories & extension construction and hold recognised construction certificates, regulated by the various governing bodies. View the regularly-updated galleries for previously finished conservatories, conservatory roofs, orangeries, garage conversions and extensions along with the FAQ’s, showing how it all comes together. Visit our 'testimonials' page where our previous clients speak more than favourably on our behalf. For more information on conservatories, conservatory roofs, orangeries, garage conversions, extensions and windows & doors call now on 01255 220 611.